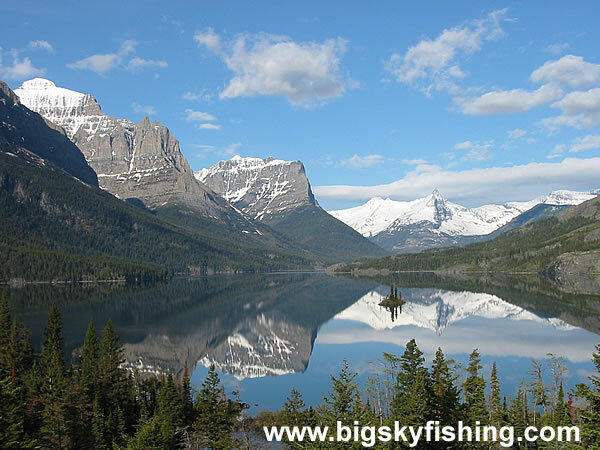 A very rare day in Glacier National Park, as St. Mary Lake is almost dead-calm, allowing the mountains to reflect perfectly off the still waters of the lake. Wizard Island is the tiny island. The peaks of the Continental Divide rise in the background.